Since everyone else is getting in their final thoughts…I thought I’d jump on the bandwagon. For anyone who hasn’t been following me on Twitter or Facebook over the last week, I was fortunate enough to get the opportunity to spend a week in Redmond, Washington at Microsoft’s yearly MVP Summit. While “Twitterverse” (i.e. #mvp10) sometimes makes things sound like one big party it was actually a very fascinating week I was very proud to be involved with. I had never before had the opportunity to visit Microsoft’s campus and, as a first year MVP, I was very much looking forward to the opportunity. But, before getting to the summit itself, I know I’ve been asked a few times lately about the MVP program so I thought I’d give a brief overview of the program for the uninitiated (those MVP’s reading this can skip this). So what is an MVP anyway? The MVP program is essentially a vehicle in which Microsoft recognizes and supports a select group of individuals who are active in the software community and recognized experts with specific technologies. Microsoft recognizes MVP’s in more than 90 countries and 40 languages. While the definition of “active” in the technical community varies, most MVP’s are authors, frequent presenters, or host conferences and/or user groups. Nearly all MVP’s are frequent contributors to online forums, blogs, or other repositories of information regarding their specific focus. All of this “activity” essentially equates to a group of people who are passionate about what they do and eager to share that knowledge with others. They are loud voices amongst other developers or power users and care deeply about their technology and want to share that knowledge with others. In terms of technology focus, the MVP program recognizes members within a specific technology area based on their expertise. This area of focus allows individuals targeted access to Microsoft teams and support. The MVP program runs on a per-year basis and accepts nominations for new members and membership renewal from both the general community or Microsoft employees. 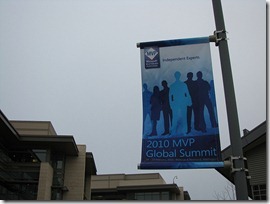 After a vetting and review process, new or renewed members to the MVP program are provided with a unique level of access into Microsoft that includes such things as direct access to product teams, MSDN subscriptions, access to early builds of new software, an invitation to the Summit, and access to many other remote product presentations usually held via teleconference or live meeting. All in all, the MVP program is a win-win relationship between Microsoft and some of their key supporters amongst the end-user and developer communities. By providing these individuals a high level of support and visibility within Microsoft they foster a relationship that culminates in these individuals helping raise the quality of Microsoft products through candid input and feedback and with the MVP’s supporting the growth and adoption of these new technologies within the Microsoft consumer ecosystem. A well known MVP perk is the ability to attend the yearly MVP Summit. 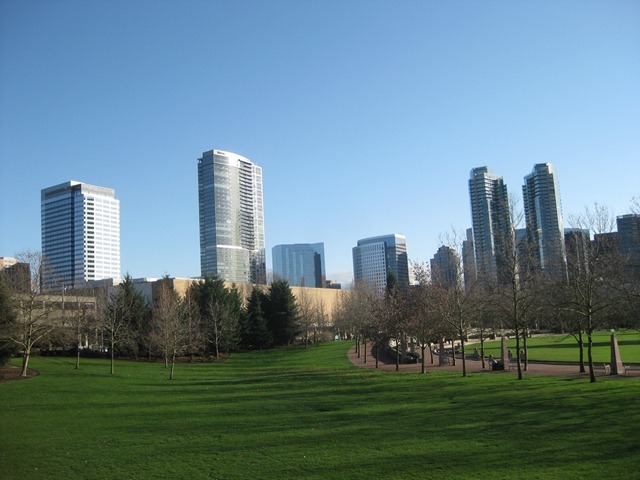 The 2010 Summit was held in both Bellevue, Washington and at Microsoft’s main campus in Redmond. This year’s Summit was attended by over 1300 MVP’s from over 70 countries. 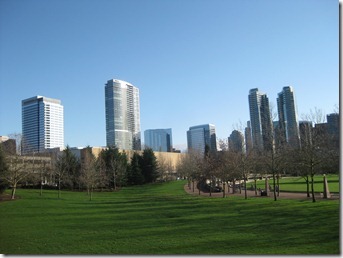 The idea behind the Summit is to bring these experts together in Redmond to interact closely with the Microsoft product teams and allow these product teams to let MVP’s see all the work and strategic direction going into future products and releases while soliciting feedback from the MVP’s on product features, quality, usage, etc. Obviously, such an open collaboration comes with the necessary NDA agreements which serve to protect Microsoft’s intellectual property and financial interests but allows the product teams to be very candid with the MVP’s and opens the door for very open and honest discussion regarding product quality and direction. To this end, this year’s summit included over 700 sessions put on by hundreds of Microsoft product team members across dozens of products. So that is what it was…but what did I think? Over the years I’ve had the opportunity to attend many regional and national conferences including Tech-Ed’s, PDC’s, and Mix’s. Between these conferences and my own involvement in various groups and events I went into my first MVP Summit already able to call many fellow MVP’s my good friends. In addition to those whom I already thought of as friends, I was familiar with many other MVP’s with whom I regularly interact at other events. The St. Louis area now boasts 7 MVP’s that I’m aware of and 5 of us were able to attend this year’s Summit. 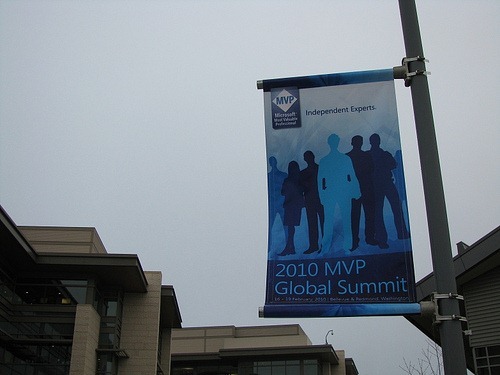 That said, out of all of the previous conferences or events I’ve been able to attend, I found the 2010 MVP Summit to be the most fascinating, educational, and fulfilling technology event I’ve ever attended. Obviously, the bigger conferences like PDC and Tech-Ed have a much larger attendance but these conference pull a mix between passionate and outspoken technologists and those people who just had enough money left in their budget to attend a conference. At the MVP Summit EVERYONE I interacted with was extremely knowledgeable and passionate about their technology area (and technology in general) and everyone was open and excited about talking tech with their peers. Anyone who knows me knows that I love to talk and love to talk about technology even more. What made this event so special was the fact that everyone else felt the same way. It was like going to computer camp with 1000 people with the exact same interests and passion. Microsoft was the most gracious of hosts and every member of every product team I talked to was excited to show off what they’ve been doing and took the time to answer every question and explain every decision. They went out to dinners and evening parties with MVP’s and didn’t miss a single opportunity all week to make the event both memorable and useful in terms of accomplishing the goals of soliciting honest feedback and building a strong relationship. Each of the sessions I attended was well put together and to the point. Not much “fluff” was included as the general assumption could be made that they were talking to a room of people who knew the “marketing line” on any given technology. I found that, during these sessions and when talking about a product or feature, most MVP’s fell into one of two camps: those who immediately saw potential and countless possibilities with a technology or those who immediately pointed out design or implementation flaws and always wanted more. That wasn’t necessarily a bad thing and it led to some great debates that usually spilled over to happy hour discussions over beers. The use of Twitter during this event was also extraordinary as the “collective consciousness” of the attendees was constantly visible via the #mvp10 Twitter feed. The camaraderie of all attendees was evident as lunches, dinners, happy hours, and evening parties were scheduled globally on Twitter and anyone and everyone showed up to attend. Whether sitting in a hotel lobby waiting for a shuttle or at breakfast with a table full of strangers, the discussion was always great. Everyone was open and excited to learn what everyone else was up to and you always felt comfortable and as if you were in a room amongst friends. Coincidentally, this year’s Summit fell during the first week of the Vancouver Winter Olympics and, with Seattle only 2 hours south of Vancouver, a few MVP’s made the trip up to the Olympics for a day or so. Also, due to the geographic diversity of the attendees, many evenings were spent at the local pub cheering on your countries hero’s in Vancouver. The Canadians wore their Maple Leaves especially proudly throughout the event. All in all, it was an experience unlike any I’ve had in my professional career and I have a stack of future blog posts queued up to discuss some key development areas I spent time covering at the Summit. My NDA keeps me from providing too much content on new or undisclosed platforms or features but not everything we covered fell into this category and I spent a lot of time at sessions or in hotel lobbies discussing some great tools and platforms which are publicly available today and which I think deserve more focus in the projects we are currently building. Very enjoyable post. I was also a first-time attendee at last week's Summit; my area is Consumer Security. While our expertise doesn't intersect, my impressions of the Summit were very similar to yours. Many of the sessions were energizing and interesting, and just the opportunity to interact with so many other interesting people made the trip very worthwhile. I also wanted to say that I too had the opportunity to have a drink with the only IronRuby MVP, so we have that experience in common!